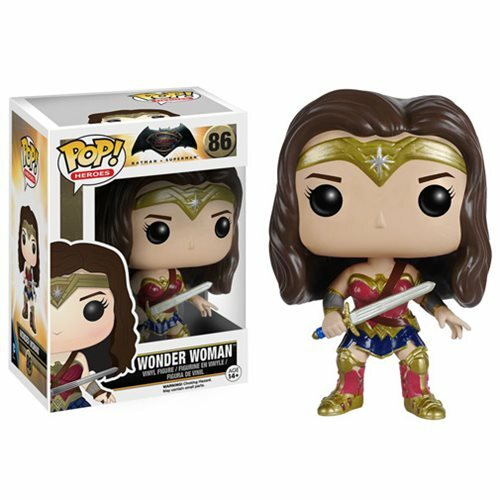 From the Batman v Superman: Dawn of Justice movie comes this Wonder Woman Pop! Vinyl Figure. The Pop! Vinyl figure of Diana Prince features her in a movie-accurate outfit, stands about 3 3/4-inches tall, and comes in a window display box. Ages 14 and up.